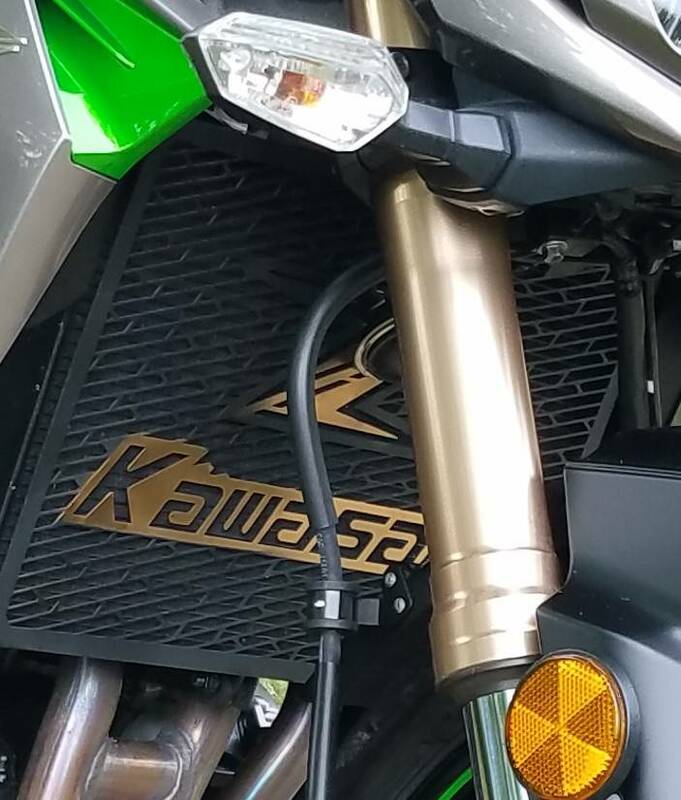 Hello all. . .I just bought a 2016 z1000 with ~500 miles on it, beautiful bike that is not even yet broken in! Once I got it home it appears that the horn is hitting against the radiator and beginning to damage it, or so it appears. Anything is possible and some debris may have hit the radiator before I bought it, but the questionable spot on the radiator is right behind the horn. I move the bars both ways - doesn't touch, I tried to gently bend the bracket down to avoid any further damage - didn't move and was paranoid that I would snap the bracket. Has anyone experienced this? Any help will certainly be appreciated. Thanks. . . If you bought it new, take it back to the dealer. Photos would greatly help us to help you. I would get a radiator cover to be safe. I have heard crazy stories of rocks hitting the radiator and damaging it. Once you have a cover on there the horn won't be such an issue. Radiator cover are cheap on eBay and you can paint them to your liking. See mine attached. I've got Evotech Performance Rad Guards for sale for 2007-2018 Zeds. Retail for about $90-$95. Selling to forum members for $75 shipped in the USA!